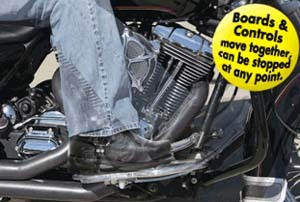 Riding comfort at push of button! 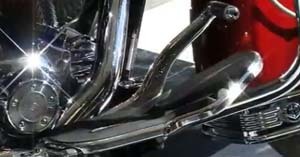 RR-1: This patented innovation allows the rider to adjust their floorboards from the stock position to full forward control position or anywhere in between with the push of a button. 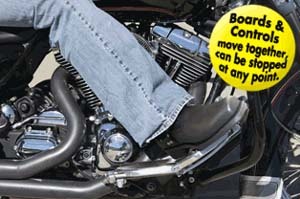 For the mid to long rides nothing else exists that can create a more comfortable and enjoyable riding experience. 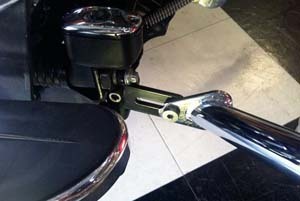 The brake and shifter arm travel in relation to the boards throughout the range of movement resulting in uncompromised rider control. Fits touring bikes MY '96 to current. 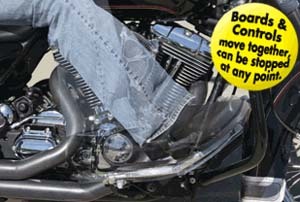 RD-CBK: The RD-CBK is a simple, fast, and bullet proof way to extend your Big Twin Engine Guard/Crash-bars for whatever reason you’ve got: like room for forward controls or RD-1, extending your highway pegs, alleviating that crowded feeling of lower fairings or you just prefer a longer “chestier” look. 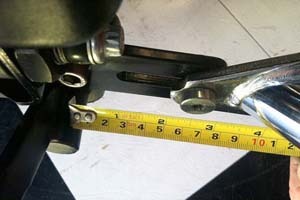 These are a slotted ¼” thick set of brackets that allow the lower Engine Guard mount to be moved forward up to 2 ½” . They come powder coated satin black. 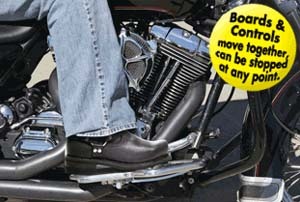 Includes 2 sets of Stainless hex bolts and nuts required for installation and installs in about 15 mins.